If you are using the Kodi services then you need to install one of the largest entertainment libraries on the internet, Solar Movie. You can stream thousands of content from, movies to TV shows and the best part is that you don’t need to create an account. Because you can access the streaming services for free. 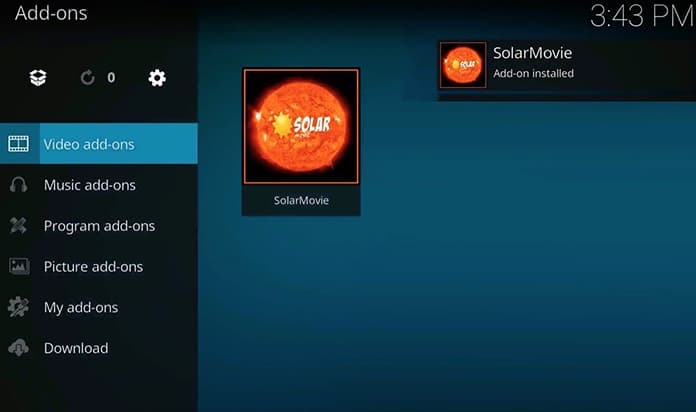 Though Solar Movie has its own website, but you can install Solar Movie addon for Kodi. As a result, you can open the Solar Movie website, through Kodi. However the Solar Movie addon for Kodi is very simple, nonetheless you can easily navigate and access the content from the addon. So why use the Solar Movie addon for Kodi? Because the addon has options that are not available on the Solar Movie website. 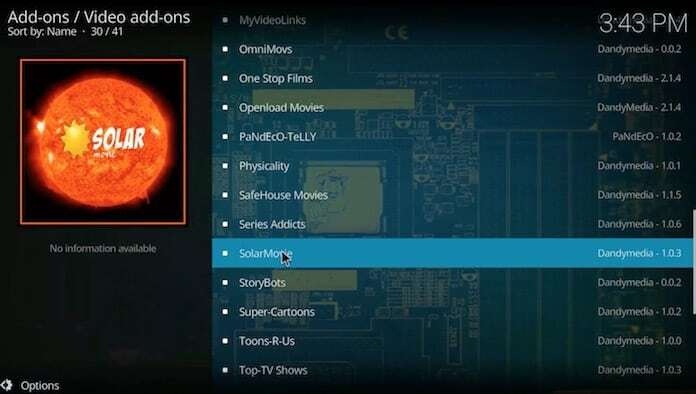 Solar Movie addon for Kodi has features like genre-specific categories and IMDb integration. Begin by downloading and installing the DandyMedia repository. From the website, http://dandymedia.club/repo/, you can download repository.dandymedia.zip file. So, once the repository is installed you can proceed to install Solar Movie addon from the section, video addons. Open the Kodi app and then install click Addons, after that click the box icon. 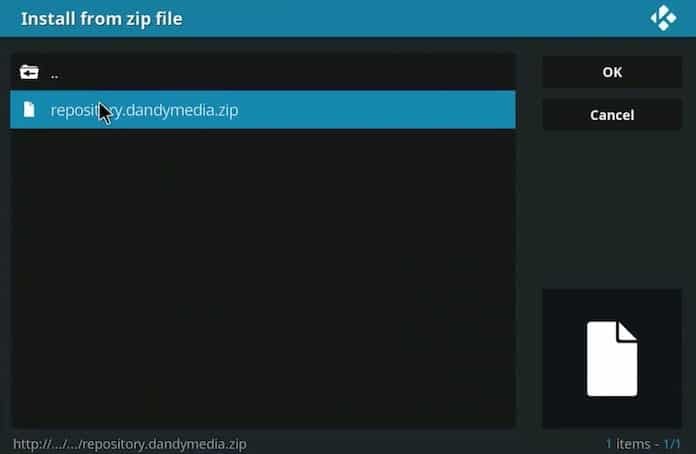 Then select the option ‘install from zip file’ and choose ‘repository.dandymedia.zip.’ Now, wait for the installation to be completed. Once, finished return back to the Kodi’s menu and choose addons. 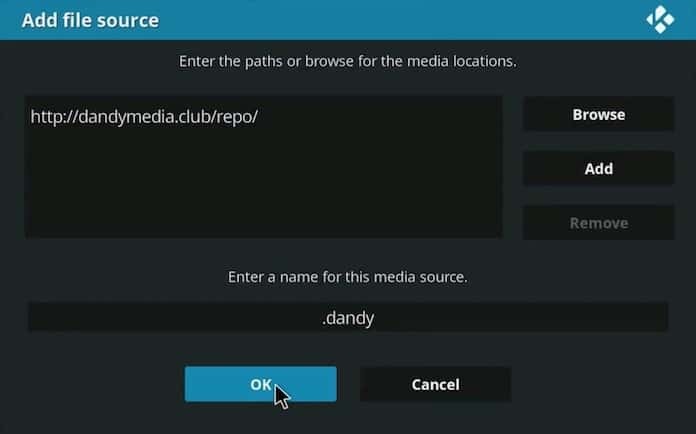 Again select the box icon and choose ‘install from repository’ and select the dandymedia repository > video addons > solar movie. After the Solar Movie has been installed, you can select the movie or TV show you like to watch. Once the movie is selected you can then choose a source to stream the video. There are few sources that can directly play the stream. But, there are different content that needs you to go to the website and then enter a code. You have to be cautious before clicking on a link but many of the links on Solar Movie for authorization are safe to use. Authorization is used by the sites to deter hackers from over burdening the server. Various sources to choose from when loading up the content you like to watch. However, the website does not give you a list of sources to choose from. If you know a movie you need to watch then you can use the search function and find your movie. The simple interface helps you to easily navigate around the addon. Unstable addon when comparing to different Kodi addon, like Exodus. The reason being that the constant changing of the Solar Movie website can result in addon from not working. Fewer option of sources against other addons. Solar Movie website is one of the best site if you’re looking for popular content quickly to stream on the internet. With one of the best feature, which is the built-in ability to see subtitles. So if you are looking for a quick and simple addon then you can install Solar Movie Addon for Kodi. 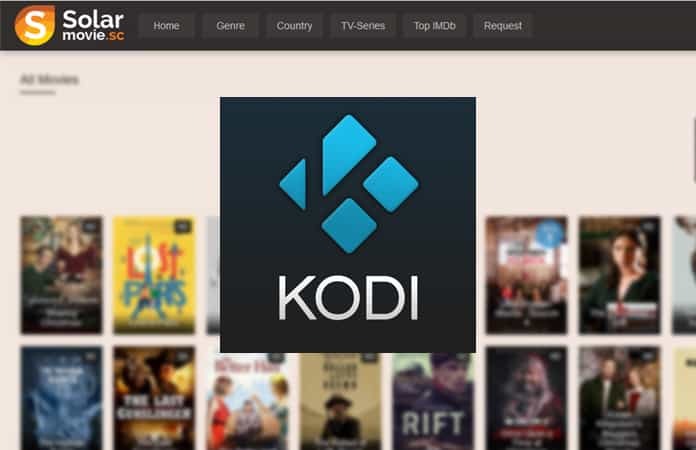 Let us know in the comments below any other streaming addons for Kodi.